Some excellent news and much deserved congratulations for the East End Trades Guild having raised the amount they needed to produce a map of East End of Independents. We are massive supporters of their campaign to put small business back on the map, literally! Next up in our Bethnal Greeners series we have Sami Youseff; kickboxer, fishmonger and all round good guy! 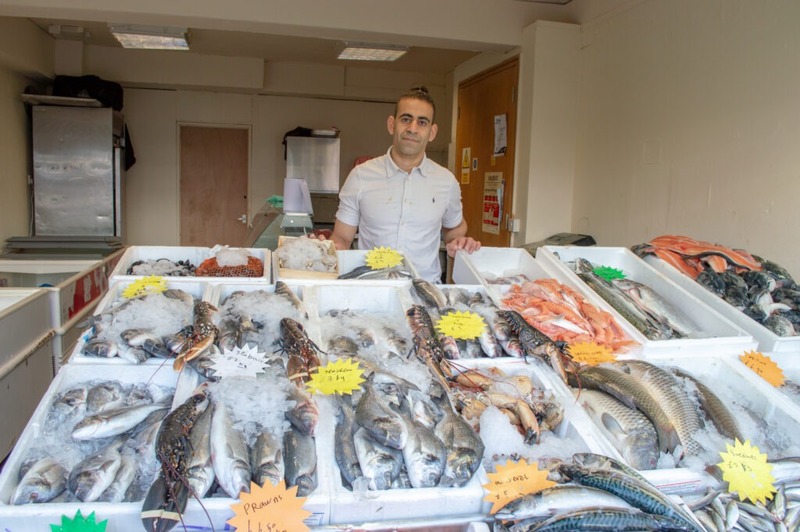 he’s just recently opened shop on 414 Bethnal Green Road selling all sorts of incredible fish, do check him out and have a good read of his interview below! I’ve got a great deal of experience as both a fisherman and fishmonger. I’m originally from Rosetta in Egypt, just east of Alexandria where I owned a fishing vessel, so I’m experienced in this industry – ‘I’m like a fish you see, you take me out the sea and it’s a problem!’, with the scars to prove it – I lost a finger out in sea in a freak accident reeling in a net! In London I used to run two restaurants in Shoreditch for around 12 years before I opened Fresh Fish with my business partner, who also owns a similar shop in Whitechapel. Initially, I helped him out over there when he had a child and now we’ve taken to opening up a venture in Bethnal Green. Having been witness to the successful Whitechapel shop of my business partners for some time now I decided to open up Fresh Fish as a local Bethnal Green fishmonger, sourcing the best quality produce every day straight from Billingsgate market. Bethnal green is a good area with nice people, there is definitely a community spirit here. I get a lot of different customers; Portuguese, Spanish, Italian and Bangladeshi to name a few. I used to live and study in Italy for around 6 years, so can speak both Italian and Spanish which helps. Bethnal Green is also a great location for me to work in, as I train professionally in K1 kickboxing, closing shop here most days and grabbing my bag and going straight to my gym which is based nearby in Shoreditch. 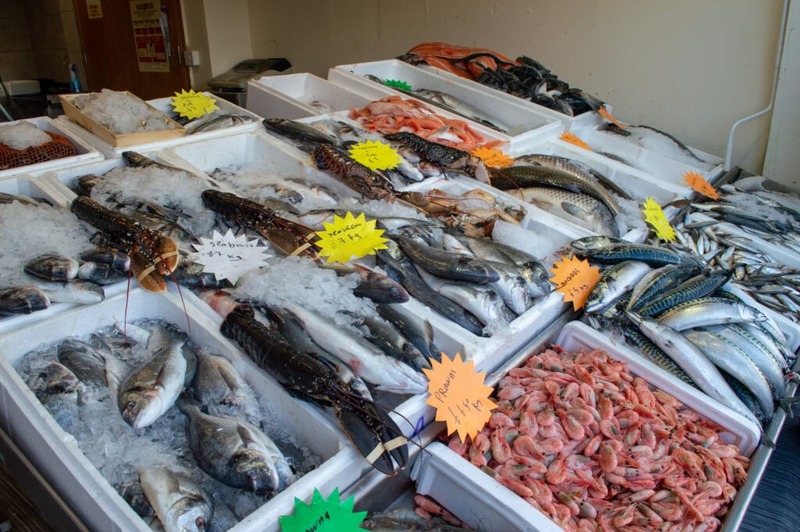 We specialise in seabass, salmon, lobster alongside a variety of different fish. I source my fish from Billingsgate market 3am every morning, delivering this to both the shops before we open up each morning. We ensure that our fish is the freshest and the pricing remains competitive, I believe is because of this that nearly 80% of our stock is sold by the end of the day. I would like to spend more money and time on the look of the shop, make it a classier and appealing to my customers. We are still at the beginning stages of opening up so have big hopes for the coming weeks and months. & just like that, it’s nearly December. Season greetings! 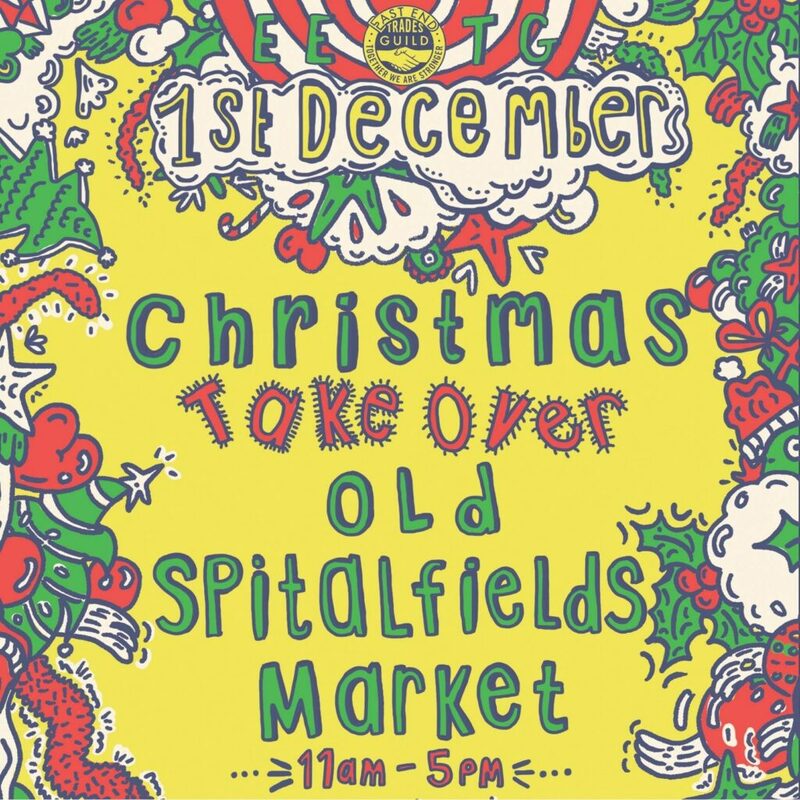 Shop independent this Christmas by joining members of the East End Trades Guild at Old Spitalfields Market on 1st December for a special one off pop-up showcasing the area’s best small businesses (for traders list click here). This is a celebration that neatly coincides with Small Business Saturday – a nationwide nod to buying local. As well as picking up unique Christmas gifts on the day, you can pick up your free East End Independents Map- hot off the press – a celebration of all the independent businesses that form this unique blend of east end based enterprise. Small local businesses from London’s East End don’t have the budget for the big billboards of the large global brands up West. So an alliance of 300 small businesses has created a map of their members so they can be made more visible in the run up to Christmas – & this Saturday also serves as the launch of the latest version of this map. Get down to support – this is proper localism! “Driven by necessity, East Enders have always devoted themselves to invent ingenious and creative ways of making a living, defining East London as the centre of innovation and enterprise in the capital for more than three centuries – from the jacquard weavers of the eighteenth century to the code writers of our own time. It is this enduring culture of resourcefulness which makes the East End such a vital place and which is championed today by The East End Trades Guild, cherishing our small shops and independent businesses” The Gentle Author, Spitalfields Life. Roman Road Market Square will be buzzing with festive fun this Saturday 1st. This event is a collaboration between Tower Hamlets Council and Tower Hamlets Homes, working together with local schools, community groups, partner organisations and residents. There will be lots on on the day, with bulb and tree planting at Meath Gardens, as well as an opportunity to meet Santa at one of his Grottos! More info on what to expect on the day here. 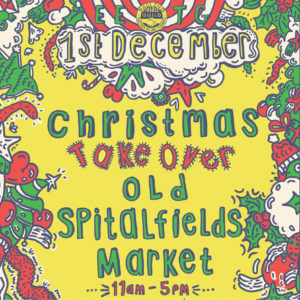 Please join Live Art Development Agency as they host their first ever Festive Fair, with over 15 exciting stalls run by local artists, activists and social action groups selling art, gifts and tasty things, as well as promoting a range of campaigns around social and environmental justice. In 2017, LADA moved to its new home at The Garrett Centre in Bethnal Green, a former Unitarian mission that began as a centre for social action in the late 19thcentury and continues to be a hub for working with local communities by housing arts, ethical and community focused groups. The Festive Fair is part of LADA’s new developments for its new home and new neighbours in the East End. All proceeds from the Festive Fair are retained by stall holders and reinvested into their work. This brand new show stretches our E2 borders slightly, but features the full Bethnal Green based Grand Union Orchestra, celebrating not only Black British Music in east London, but the music of the whole of the African-descended diaspora. This story began over 500 years ago, with the transatlantic slave trade, when millions of Africans were transported to Brazil, Cuba and the West Indies, and to the southern states of the USA. In horrific circumstances, they took their customs, their culture and their religion with them. Remarkably these survived in the New World, and above all their music has developed into an extraordinary legacy. This is a story the Grand Union Orchestra is well-equipped to tell, with its core company including many musicians and singers of African or Caribbean descent. Several are first generation migrants themselves, but all of them fine exponents of their art – from West African drumming and chant, through Latin-American and Caribbean music to jazz. This promises to be a seriously entertaining take on the Nativity story. It’ll feature a Community Gospel Choir, mince pies, carols & drinks, not to mention a real donkey! This NYE Oval Space and The Pickle Factory join forces for a double-venue party befitting the magnitude of the occasion. Your ticket grants access to both venues, which hosts the finest DJ’s across the dance-music spectrum, accompanied by extra-special production flourishes. At Oval Space, UK icon and perennial tastemaker Gilles Peterson is joined by Oval Space’s resident-in-chief Sadar Bahar (pictured) from Chicago, who’ll soundtrack the infamous midnight countdown with his unparalleled selection of rare funk and soul – then expect house & techno ’til dawn. Meanwhile across the road at The Pickle Factory, peerless German artist Move D holds it down for 6 hours. His longevity is testament to both his timeless productions from the early 90s to the present day, and his imitable DJ style. Not. To. Be. Missed. On Saturday 1st December 2018 between 12-4pm, Roman Road Market Square will be buzzing with festive fun! a collaborative effort between Tower Hamlets Council and Tower Hamlets Homes, working with local schools, community groups, partner organisations and residents. There will be lots on on the day such things as bulb and tree planting at Meath Gardens, as well as an opportunity to meet Santa at Santas Grotto! Click on the link below for more information about what’s happening on the day. Bring your friends and family along on the day to enjoy all things festive! The address for the event is Roman Road Market Square, E2 0RN. 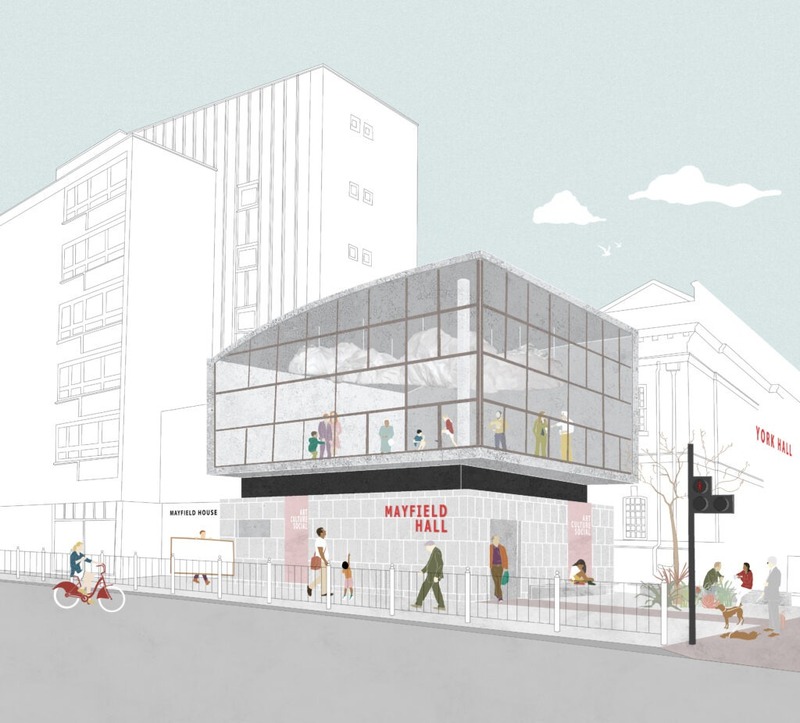 Next up in the Bethnal Greeners series is the Mayfield Hall Community Interest Company, set up to re-imagine a disused space in the heart of E2. We caught up with Chris Thorn to hear about their hopes for the space, and to hear how we can all get behind the project.. The Mayfield Hall Group Community Interest Company was setup by Bethnal Green residents Chris Thorn, Mo Wong and Punya Sehmi with a singular ambition: to promote and facilitate the reuse of Mayfield Hall for a community, cultural-based purpose. 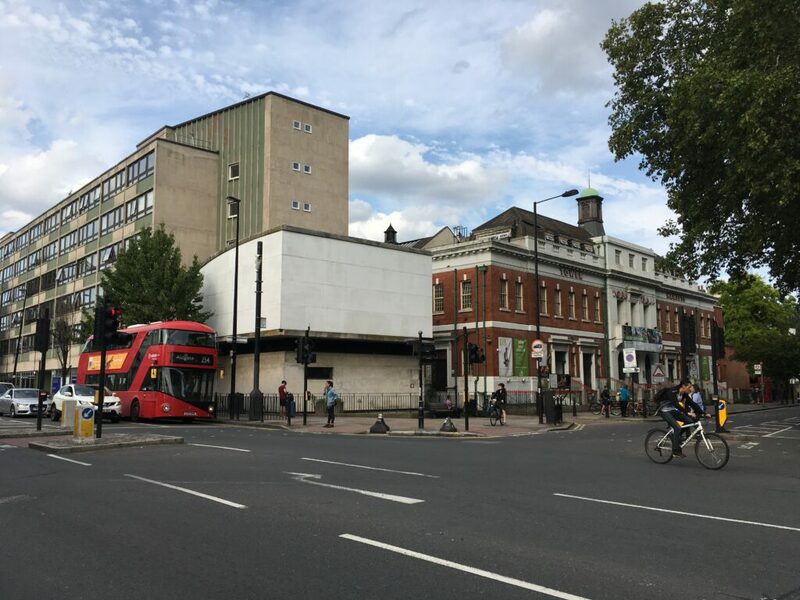 The group of friends had been passing by the decaying social hall at the corner of Cambridge Heath Road and Old Ford Road since it was boarded up in 2015 and wanted to see this iconic building return to use and become an active part of its civic setting. We began by visiting the Tower Hamlets archive library to look into the history of the building. We managed to come across historic photographs of the social programs it was originally home to. This included the Bethnal Green music library, recital hall, public laundry and a number of historic articles about the civic and social principles on which the building was conceived. This was the start of our journey to campaign for the reuse of Mayfield Hall and reinstate its original socially driven purpose. After a year of spending our weekends and spare time meeting, speaking with people, making contacts and digging around for information we decided to take the plunge and form the Mayfield Hall Group. We’ve created a Spacehive crowdfunding campaign to promote and gain support from the community to get the project off the ground. We have lived in Bethnal Green for 17 years and have worked here for the past 7. This not only means that most of our social network is in east London but also those people and organisations we work with are based here too. We love Bethnal Green for its diversity, vibrancy and its history, along with its challenges and its struggles. It is a continual inspiration for us and we hope this project will add to this dynamic mix. We want to create something for the local community that reflects the heritage and civic pride of Bethnal Green. It is a shame that such an iconic building has been left to decay for so many years. Our vision is to repair and re-open Mayfield Hall so it’s able to accommodate a community, with plenty of culture-driven use, and also create a space for people to learn, engage and celebrate. With the backing of our Spacehive crowdfunding campaign, we will run workshops with the community and local organisations to understand what is the best future use for the Mayfield Hall. We plan to test the outcomes from the workshops by running a series of free events and get feedback from visitors. We also need to commission a condition survey and feasibility study of the hall so that we can understand what repairs, adaptions and works would be required before Mayfield Hall can be brought back into public use. Here’s the next in our series of longer conversations, ‘Bethnal Green; After Hours’, in which we’re shining a light on all of the fantastic businesses that make E2 such a vibrant place to be at night. 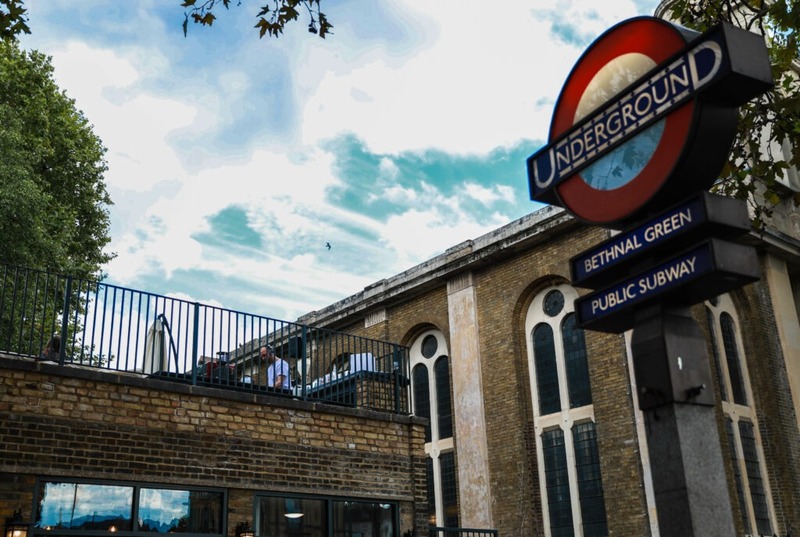 The pubs, the clubs, the galleries, the restaurants, the bars & much more besides – new & old – we’re blessed as an area with some hidden gems and some straight-up institutions that fly the flag for the ever changing, ever-beloved East End. 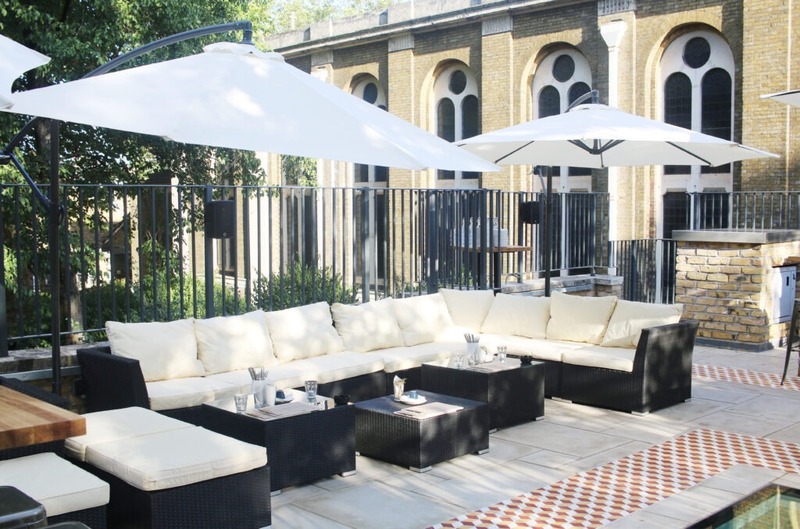 We caught up with Alex from Chiringuito – to hear about his new venture in Museum Gardens. One of the great things about Bethnal Green is its swirling melange of cultures, & it was lovely hearing how devout east Londoner Alex has brought a little slice of Barcelona to E2 – cheers Alex! Hi Alex & Chringuito – tell us a bit about your new venue. Hi Joe! Our new venue is called Chiringuito – named after the little all-day beach bars that line beaches in Spain. We don’t quite benefit from the Mediterranean sun, but we do sit in a lovely little corner of Museum Gardens, right next to Bethnal Green tube. 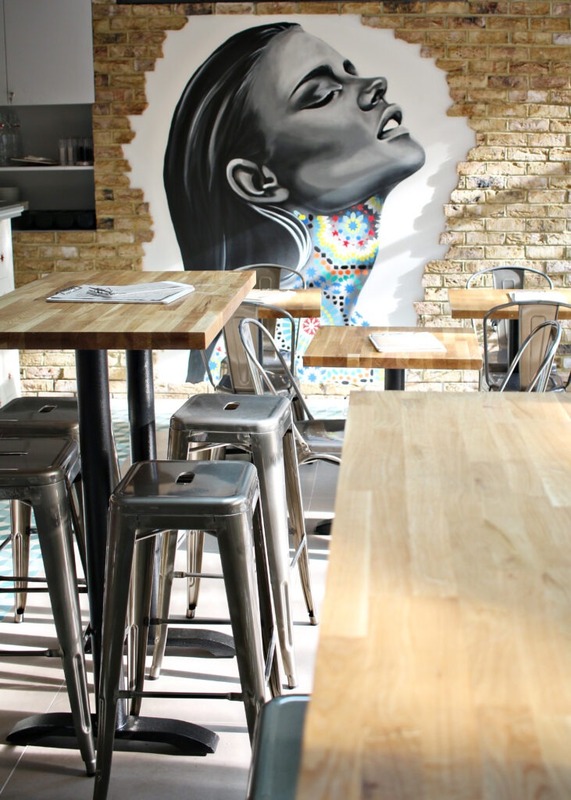 Like our namesakes, we are an all-day venue serving you up a coffee and brekkie to start your day, right through to your post work dinner and cocktails. Whilst we can’t offer views of the Med, I think we have a pretty sweet spot to watch the world go by, and when the sun does pop out there’s no better place in BG than on our roof terrace. Sounds great! What from the menu would you really recommend we tuck into when we visit? Our menu is a blend of Spanish and Latin America dishes, and our Head Chef Marco Padilla is from Peru. That being the case, it would be wrong of me not to recommend his amazing ceviche. Like our beach side inspiration, the menu has plenty of fish and seafood options, and the seabass in chilli, passionfruit and grape sauce is amazing. For the meat lover, you would be hard pushed to beat our traditional Lomo Soltado – sliced rump steak sautéed with vegetables in a soy and ginger sauce, flamed with pisco. Why Bethnal Green? Is the area close to your heart? I love Bethnal Green. I’ve lived here for 15 years, and my family has grown up in and around Stepney and Bethnal Green for as many generations as we can look back. There’s something about its vibe and bustle that talks to me: sitting on the doorstep of the shiny City, but still kept down to earth and a little rough around the edges. Barcelona is another place very close to my heart, and I have spent time living in that spectacular city beside the sea and the mountains. Chiringuito is my attempt to bring a little piece of Barcelona to east London. You came along to our meeting of ‘The Green’ last month – how do you think the community and the area are shaping up currently? Thank you very much for inviting me along to meet with you guys. It was great to meet other like-minded, community-spirited people. It was really refreshing and interesting to listen to the group all speaking about their projects, successes, pitfalls, and coming together to encourage and support each other. Myself and other members of the team from Chiringuito would definitely like to belong to the group, and it would also be lovely to host you at our venue sometime. ..& how have you seen the area change over the years? How will you be looking to maximise the great space you have there right by the tube station? That’s got to be a dream footfall spot! It’s an awesome and unique spot, and I am proud to have the challenge of making it all tick. That’s quite a challenge when you consider that in the footprint of an old public toilet, we now have a 75 capacity roof terrace overlooked by St John’s Church, 50 or so bistro style seats facing the street and the park, another 50 or so spots on our park benches looking into Museum Gardens, and a further 30 seats in our cosy and bustling interior restaurant space. That’s quite some challenge for a first venture into restaurants, but myself and the team are giving it our all and getting closer and closer each day to our goals. And tell us a bit about the design of the place – those roof tiles are proper! It’s been quite a challenge trying to bring the chiringuito vibe to a derelict public toilet, 20 years after it’s doors were sealed shut. We’ve tried to do that by bringing the outside in as much as possible, with floor to ceiling windows on the street and park facing sides. When we started renovation, we found a whole in the roof where an old water tank sat, so we kept it… filled with walk-over glass of course. We’ve taken lots of cues from Catalan design, including the brightly coloured “hidraulico” tiles that you will find inside and on our rooftop. Do you have anything exciting coming up that we should tell our readers about? This is an exclusive sneak peak of brand new material from the great and the good of the comedy world. Every week on a Thursday, the show features established acts trying out new material, big TV names warming up for national tours and festivals, and some of the most exciting rising stars from the comedy circuit. A Drunken Sailor offers enthralling drama anytime anywhere: from the top of a bus to international festivals to national theatre tours. These Playback sessions are an open rehearsal combining improvisation techniques with Indian storytelling and the actors spontaneously playing back full length stories and moments from the audience or their own lives. It can be anything from a mundane event on the way to the theatre to a traumatic childhood experience. For each session a conductor invites audience members to come up and share their stories and then between two to four players; these roles can shift during the session or remain fixed. The company use different forms and structures and coloured cloths to support the story telling. As well as focusing on the therapeutic benefits of sharing stories, Playback can also provide relief through comedy. The capital’s biggest pan-city music festival, which has long been acclaimed for showcasing a heady mix of talent from around the world is back this November, & our mates over at Rich Mix are right in the thick of it – hosting some superb stuff over the course of 10 days. Widely acknowledged for delivering world-class artists and emerging stars, the Festival continues to take jazz to a massive audience, in one of the UK’s landmark music events. We will be getting together again at Oxford House for our meeting of ‘The Green’ – an opportunity for businesses and organisations locally to share their work face to face, and for us to explore your plans for Small Business Saturday this year. We want to promote your work and it doesn’t cost you a penny. Can’t say fairer or clearer than that. Come and see us – book in for it now. Funded by Tower Hamlets Council Supporting our High Streets and Town Centres. Signing up helps you get the most out of living & working in E2. We'll send you tips on what’s on, news about planning & development in the area, updates on our own work including meetings of 'The Green', and opportunities to get involved yourselves. We won't bombard you and you can unsubscribe at any time.